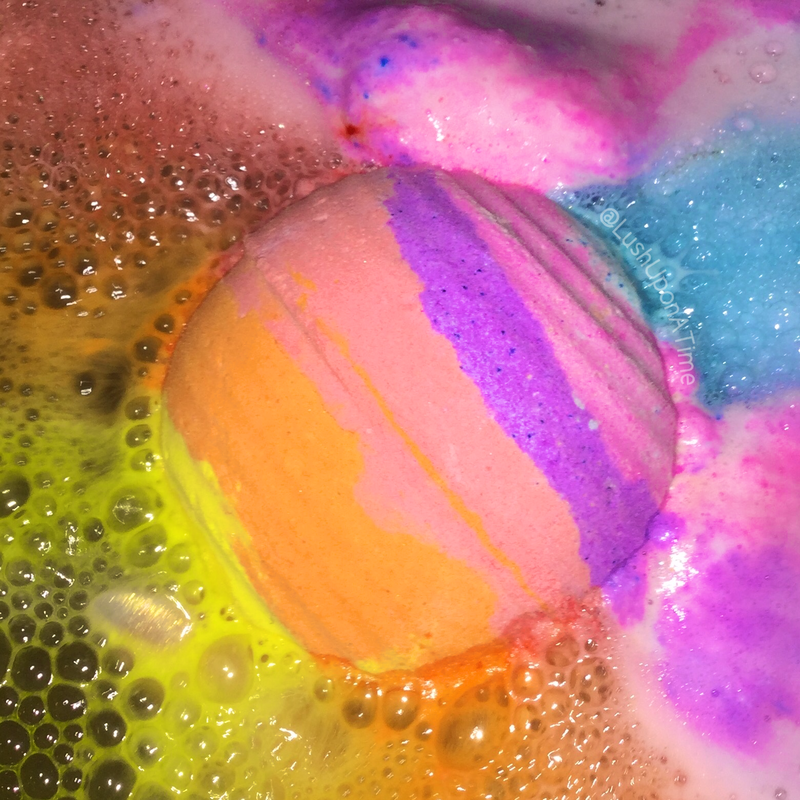 On appearance alone, the Groovy Kind of Love bath bomb easily outshines some of Lush’s most memorable and colourful bath bombs from the past and present such as; Granny Takes A Dip, Somewhere Over the Rainbow and The Experimenter bath bomb. All I can think of when looking at it is the 1960’s and the fictional character, Austin Powers. Scent wise, The Groovy Kind of Love bath bomb is not what I had expected at all. Containing a mixture of patchouli and neroli oil the Groovy Kind of Love bath bomb has quite an acquired taste (or should I say scent) It has a very peppery and grounding aroma, the addition of the neroli oil makes it a little less spicy than other patchouli products I have tried, this twang of sweetness is what makes Groovy Kind of Love really stand out to me. As soon as the Groovy Kind of Love bath bomb hits the water there is of course an explosion of colours. Blue, pink, purple, orange and yellow froth spill out of the bath bomb creating mounds of colourful bubbles. Once in the water it reminds me of another fictional character, Elmer the Patchwork Elephant. 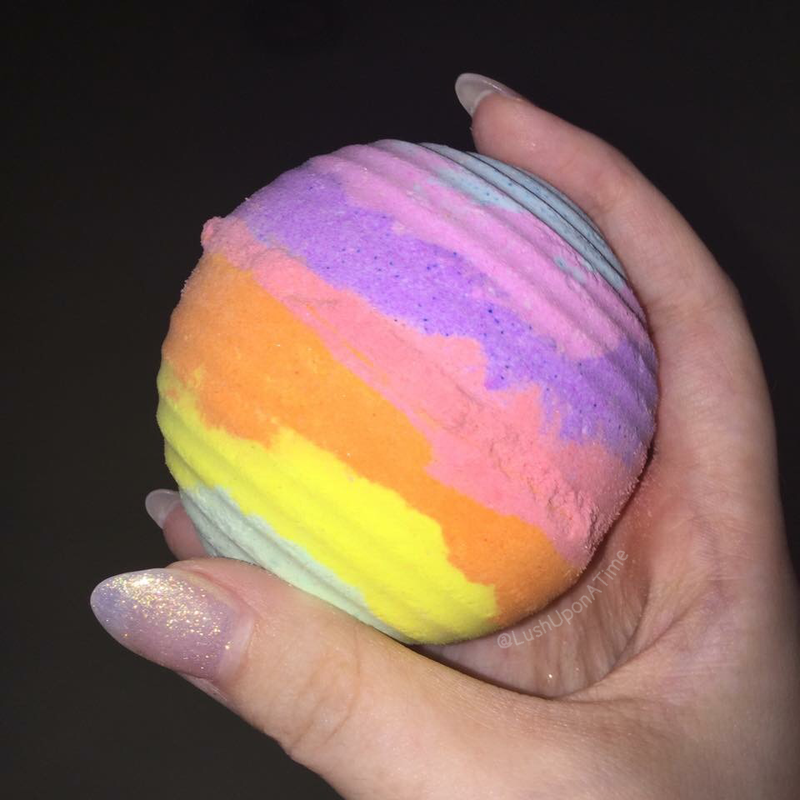 I know this isn’t exactly relevant to the review of this bath bomb but I love how a Lush product can bring back so many forgotten memories! The bath bomb spins and spins, spurting out patches of different coloured bubbles, you find yourself under what looks like a blanket of patch work bubbles. Groovy Kind of Love is however a very quick fizzer so capturing any ‘bath art’ isn’t easy for someone slow like me. The good thing about it being so quick to fizz up is the colour it turns the water once it has all gone. 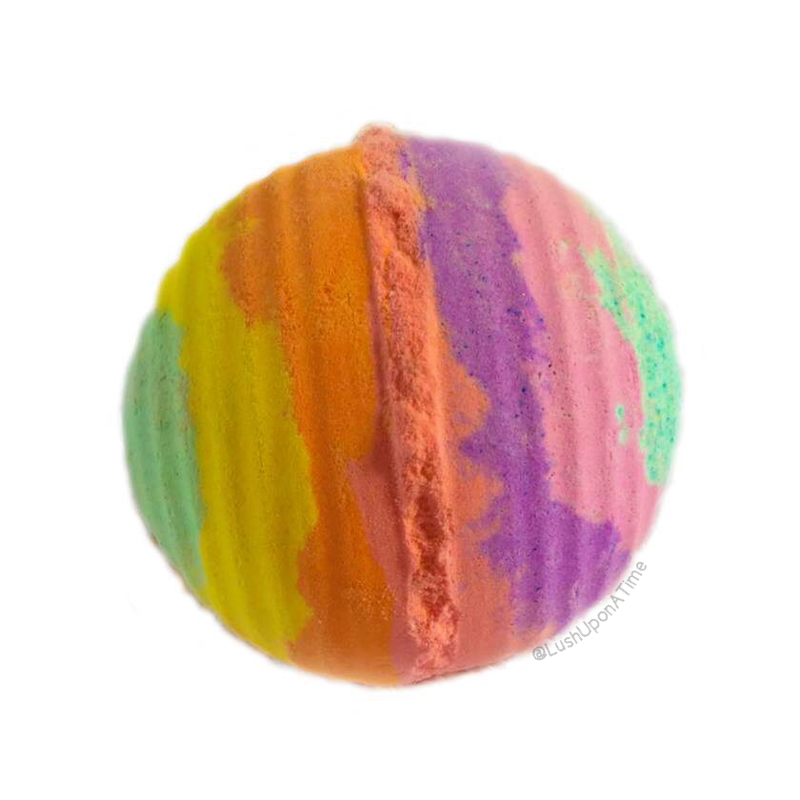 I know that a lot of people are disappointed by the end result of the most colourful bath bombs especially from the likes of the, The Experimenter bath bomb. I’m not quite sure what the people that are disappointed expect though, it’s inevitable that all of those bright colours mixed together will only end in one way, murky. Groovy Kind of Love’s colouring is however less bright. Each shade of colour it has is a light pastel shade. Many people thought this bath bomb would end the same way as the, The Experimenter bath bomb, its pastel colours however save the day. The water turns a warm orange, which is far more desirable than the grey and murky water left behind by the, The Experimenter bath bomb. A Groovy Kind of Love bath leaves me feeling relaxed and toasty. Its slight spiciness really helps soothe tired and aching muscles and although products with patchouli oil in aren’t usually my favourite, I can make an exception for good old Groovy. 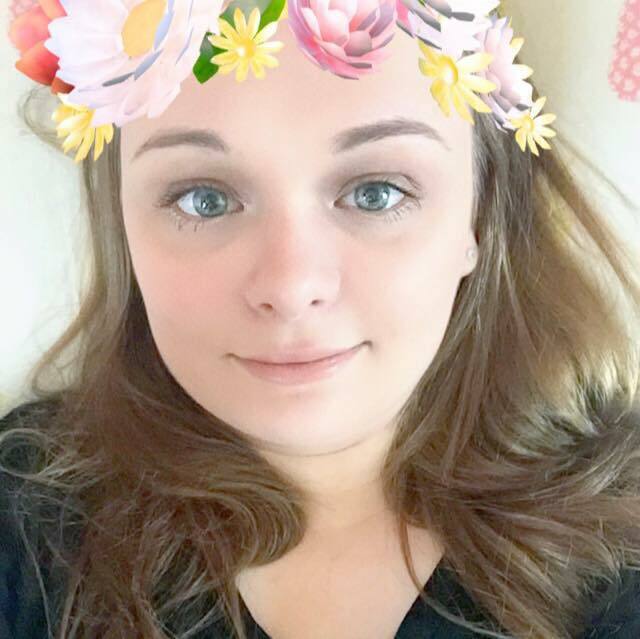 It’s not my favourite of the Lush Summit exclusives but I do still recommend trying it.